“Mёd” hotel is a modern embodiment of Russian traditions of hospitality combined with a European level of service. 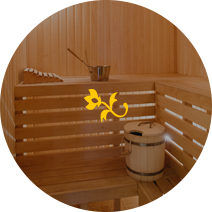 The hotel spa “Mёd” is perfect for both business trip and for recreation. The cozy luxury or standard rooms in classic style will help you feel at home. You can taste freshly ground coffee with crisp croissants and hot baking in the stylish hotel bar, decorated in fashionable black and white colors. Service-minded managers of “Mёd” hotel will always help you to solve any problems related to the arrangement of your room and comfortable accommodation. Our attentive staff will not disregard any detail, and their professional attitude to their work will exceed the expectations of the most discerning guests. Nine individually furnished comfortable rooms are at the disposal of our guests. They are equipped with all necessary facilities for work or recreation, including individual air-conditioning and a flat TV screen, a mini-bar with soft drinks, as well as a reliable safe box and tea set. 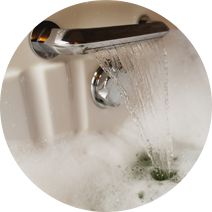 Each room has a private bathroom, bathroom amenities, soft bathrobes, comfortable slippers and a hair dryer. The hotel offers free Wi-Fi, telephony, a laundry and secured car parking. 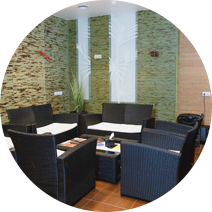 Nowadays, it is not so easy to find a worthy hotel in Kemerovo, but “Mёd” has already managed to establish itself among its visitors thanks to its warm atmosphere of hospitality and a wide range of additional services, which include various types of massage, spa treatments and bath attendant services. Our hotel is located very close to the cultural and historical city center and the bus station. It is 25 minutes from the airport and 10 minutes from the railway station “Kemerovo-Passajirskiy”. As for the infrastructure and entertainment, trade centers, museums and theaters of the city are located within walking distance from the hotel. For more information about cultural and entertainment events taking place during your stay, please contact the reception staff. 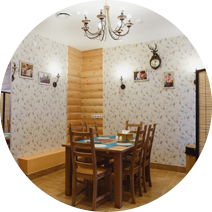 Start your acquaintance with Kemerovo with a cozy hotel “Mёd”, which embodies the classic idea of the guests about the combination of affordable price with exceptional service.